Expo Centre Sharjah will be welcoming visitors for a 17-day mega Ramadan and Eid event from May 31. "From May 31 to June 16, Expo Centre Sharjah will be the region's top retail, food and entertainment destination, thanks to the Ramadan Nights that will brighten up the holy month and the ensuing Eid Al Fitr celebrations in the country and the region," said Saif Mohamed Al Midfa, CEO of Expo Centre Sharjah. The Ramadan Nights will be an integral part of the larger Sharjah Ramadan Festival, organised by the Sharjah Chamber of commerce and Industry from May 17 until June 18. 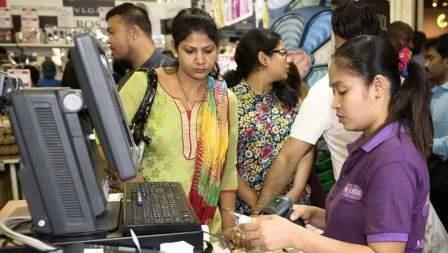 The mega sale will treat visitors to a variety of discounts ranging up to 80 per cent. A selection of the finest local and international cuisine will also be available at the food court that will feature street food stalls, food trucks and unique pop-up restaurants. Visitors will be able to enjoy traditional Emirati delicacies alongside street food from the Philippines, China, India and other parts of the world. "Many of the participating brands and retail outlets are offering exclusive discounts up to 80 per cent compared to prices found in shops. AA Sons, Avon perfumes, Carrefour, Jumbo Electronics, Grand Stores, Home Style, Al Mandoos, Nishat Linen, Nazih Group, Shoes4 US, Sketchers, Smart Baby and US Polo Assn are some of the prominent names that have confirmed their stalls for Ramadan Nights," he added. Being a complete family event, the show also features a gaming arena for fun activities and games. Here, visitors can find games that are suitable for all ages. The Ramadan Nights, which caters to the entire household requirements during Ramadan and the period before and during Eid Al Fitr, will be the largest such platform in the region that caters directly to the residents and visitors alike. The event will be open to visitors from 8pm to 2am daily during Ramadan and from 5pm to 11pm during Eid holidays.